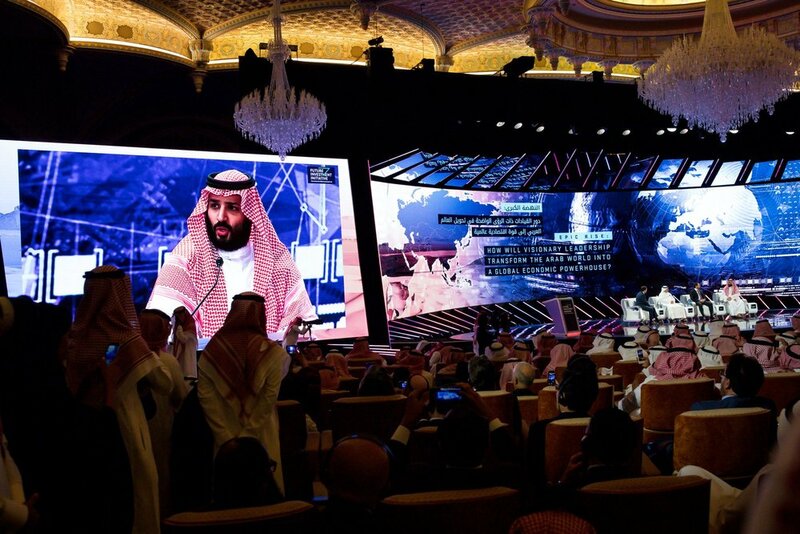 Mohammed bin Salman, Saudi Crown Prince, speaking at the investors conference. Photo Credit: Tasneem Alsultan for The New York Times. After Washington Post journalist Jamal Khashoggi disappeared in the Saudi Arabian consulate in Istanbul, Turkey, the world scrambled to find answers on the whereabouts of this U.S. resident. Khashoggi was originally an adviser to the Saudi government, but then became a prominent critic of it. On Tuesday, October 2, Khashoggi entered the Saudi Arabia consulate to obtain official divorce documents, BBC News reported. 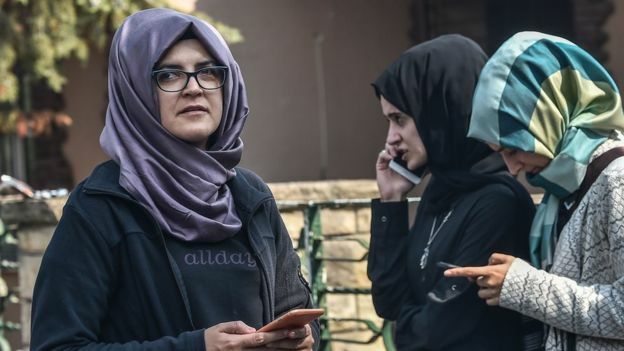 Khashoggi sought to end his previous marriage in order to marry Hatice Cengiz, a Turkish woman to whom he was already engaged. As is protocol, Khashoggi surrendered his phone before entering the consulate. Cengiz awaited his return just outside the gates, having been told by Khashoggi to contact an adviser to the Turkish president should he not return. Aljazeera reported that three hours after Khashoggi entered, Cengiz asked consulate staff about his whereabouts and was told that he had already exited through the back door. BBC News wrote that Cengiz waited 11 hours for Khashoggi outside of the consulate. She did not see him leave and returned the next morning when the consulate reopened. Journalist Jamal Khashoggi went missing on October 2. Photo Credit: AFP. The day after the disappearance of the journalist, Turkish Foreign Minister, Deputy Yavuz Selim Kiran, summoned Saudi Arabia’s ambassador for an explanation. The ambassador said they had no information on the whereabouts of the journalist, NTV television reported. A Saudi official confirmed on Wednesday that Khashoggi visited the consulate on Tuesday to file paperwork, but claimed he had “exited shortly thereafter,” BBC News reported. “He is not in the consulate nor in Saudi custody,” the official added. Days later, rumors continued to spread about the journalist’s whereabouts. Many individuals around the globe, including U.S. President Trump, believed Khashoggi was dead. Saudi Arabia’s foreign minister, Adel al-Jubeir, nevertheless assured Fox News that the murder was a “tremendous mistake” and denied that the crown prince was in on the plan. “It certainly looks that way…,” President Trump said when asked if he believed Khashoggi was dead. Initially, Saudi officials denied any involvement in Khashoggi’s disappearance, and continued to deny accusations of his murder inside the consulate. Two weeks after his mysterious disappearance, however, BBC reported Saudi Arabia’s confession that Jamal Khashoggi was indeed killed inside the consulate on October 2nd. The country issued a statement blaming the killing on a “rogue operation” that had gone wrong. Hatice Cengiz, Khashoggi's fiancée, waiting outside the consulate for hours. Photo Credit: AFP/Getty Images. At first, his death was attributed to a fistfight that broke out inside the building, Reuters reported. One hour later, another Saudi official stated that he died in a chokehold. On Wednesday, October 31, Turkey’s public prosecutor, Saud al-Mojeb, described what had occurred inside the consulate 29 days prior. In a statement, al-Mojeb said that Saudi agents strangled Khashoggi immediately after he entered the consulate. The agents then dismembered the journalist’s body, The Washington Post reported. Al-Mojeb and others are still unsure where the remains are. Turkish authorities have a strong theory that Khashoggi’s body was destroyed with acid on the consulate’s premises. “Khashoggi’s body was not in need of burying,” an anonymous Turkish official said in an interview. What made him a target? Many have speculated why Khashoggi was a victim to begin with. He was a distinguished journalist around the world and wrote monthly columns for the Washington Post’s opinion section. In his opinion column, Khashoggi often criticised the policies of Saudi Crown Prince Mohammad bin Salman. Three weeks later, “a swirl of allegations” were spread at an annual investor conference in Saudi Arabia, speculating that the crown prince’s family ordered the murder of the journalist. These allegations “tarnished the future King’s reputation” and “left his conference in tatters,” The New York Times reported. The rumors caused many attendees and sponsors to “bail out of the meeting,” The New York Times added. However, Larry Fink, chairman and CEO of the world’s largest money manager, said he won’t “run away” from doing business with Saudi Arabia, CNBC reported.